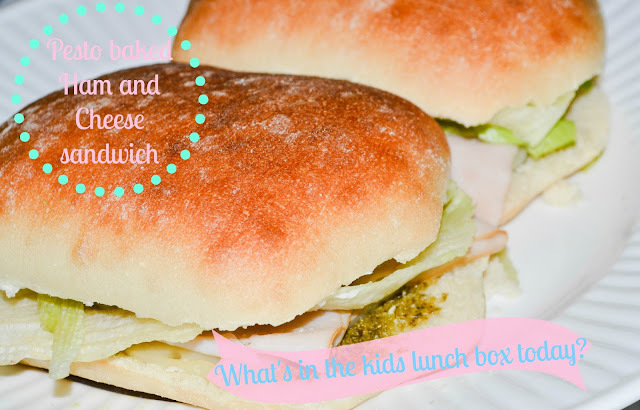 What's in the kids lunch box today? Ingredients: Telera bread, swiss cheese, turkey ham, pesto, fat free mayo, lettuce. Bake sandwich for 10-12 minutes and lettuce at the end.